Strategically, Apple is trying to give its laptops more iPhone-like capabilities which could differentiate it from competitors. Laptops, which haven’t been exciting for years, are about to get interesting again. A reason for Apple and its competitors to switch to ARM-based laptops is that mobile processors are gaining capabilities larger computers dont have. Apple is pushing as on-device artificial intelligence, which could enable voice recognition. Apple could deprive cheaper Macbooks of spatial, visual, auditory capturing and processing in mobile devices which might drive customers toward the iPad. Laptops, which haven’t been exciting for years, are about to get interesting again. Despite the rise of tablets and smartphones, laptops are still the way most people get work done. The difference between the mobile touchscreen devices and their bulkier clamshell counterparts isn’t just their physical design: They actually use different sorts of processors. While chip maker Intel Corp. INTC -3.43% has powered most computers you’ve ever used, that might not be the case much longer. Many manufacturers are already using mobile chips from smartphones in laptops running Google’s Chrome OS, and are starting to put them in laptops running Microsoft Windows. 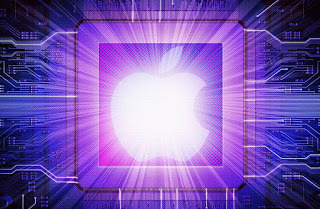 Apple Inc. AAPL -0.05% already designs its own chips, which are arguably the fastest mobile processors in the world—will it use them in its own MacBooks? This doesn’t mean that the form of the laptop—trackpad, keyboard, screen—must change. Apple has tried to convince consumers that the iPad is for work, but relatively flat iPad sales suggest few are using mobile devices as their primary means of productivity. Year after year, these chips have seen double-digit increases in their performance. Last September, Apple declared that its A10X processor, which powers the iPad Pro tablet, was already faster than 80% of the Windows notebooks sold in the past year. The iPhone X’s A11 Bionic is even faster. ARM and its partners claim its processors for forthcoming Windows laptops are also comparable to lower-end Intel laptop chips. Intel is contributing to this trend. The intervals between ever-faster Intel chip launches have gotten longer and longer, leaving its PC partners scratching their heads about how to excite customers to buy the latest and greatest models. The size of the circuitry on a microchip, known as a process node, determines its power consumption, performance and cost. The smaller the transistors on the chip, the wider the variety of stuff you can put on it, such as wireless modems, GPS receivers, image processors and the like. Each new silicon breakthrough is named after the ever-smaller distance between certain chip components, measured in nanometers. In its last earnings call, TSMC, the chip fabricator for Apple and AMD, said it’s producing chips at the 7-nanometer level, and it expects 7nm chips to represent 20% of its revenue by the end of 2018. TSMC is the world’s largest contract maker of semiconductors, having accrued $8.46 billion in revenue in the first quarter of 2018 alone. If it expects to ship millions of these chips soon, it’s a safe bet that a big chunk of those will be Apple’s next-generation A12 mobile processor. Apple is also pushing capabilities such as on-device artificial intelligence, which could enable better voice recognition and other capabilities, and the company aims to support only its own graphics software in the future. Because Apple’s in-house chip designers only have one customer—Apple—they’re able to tune its silicon to run all these things as fast as possible. 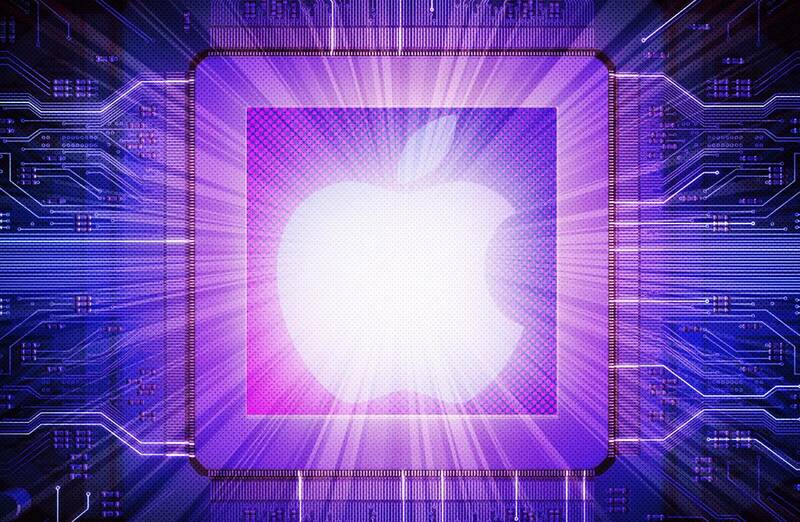 You see Intel delaying new technologies anywhere from six to eight months, and that hurts Apple’s roadmap,” says Ben Bajarin, an analyst at market-research firm Creative Strategies. “Apple in particular doesn’t want to have to be hamstrung.” By using its own silicon, Apple could potentially offer machines that do things other notebook manufacturers might not match for some time, he says. The result would be an ARM-powered variation on the MacBook or MacBook Air, or something new that meets similar needs and runs MacOS. There is a limit to what ARM chips can pull off. Apple’s MacBook Pro laptops are powered by Intel’s Core i5 and i7 processors and—like Apple’s desktop computers—will probably continue to be for a long time. It’s possible that Apple could allow its cheaper MacBook lines to stagnate, depriving them of the capabilities of spatial, visual and auditory capturing and processing that we now take for granted in mobile devices. If so, it might be to drive customers toward the iPad. Apple could even give more powers to the iPhone—with a few software additions like a trackpad cursor and resizable windows, iOS could give the MacOS a run for its money on big screens. Even Intel seems aware of this eventuality. The company announced that its initial wave of 7nm chips will be available first to its data-center customers—who are driving its greatest revenue growth—not to the companies that build laptops and tablets. Intel is transforming “from a PC-centric company to a data-centric company,” Intel finance chief Bob Swan recently told the Journal.